In the world of staircase design and installation, misinformation often reigns supreme. Incorrect perceptions are commonly held about certain types of staircases and we often dispel them to potential clients. 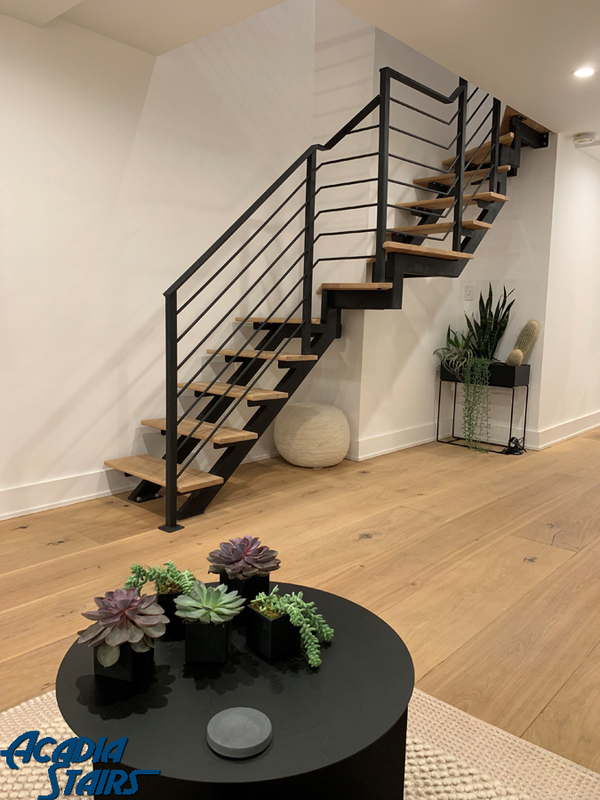 In this blog post, Acadia Stairs talks about the common staircase myths you should understand if you’re considering a custom modern or contemporary staircase. Yes, we’ll say it: the spiral staircase gets a bad rap. But that is because what people think to be true is often far from it. For example, spiral staircases are difficult and expensive to install, when, in fact, they’re one of the easier and affordable staircases out there. To address safety, spiral staircases, if installed properly, pose the same risk as any other staircase. Now start saving some space and give your home a contemporary staircase that’ll turn heads! We get it: the floating staircase is, by far, the most modern of the staircase designs. And a lot of people ask us: is this staircase too modern for my home? Here’s the short answer: no! The floating staircase can be redesigned to fit your home’s aesthetic, without overdoing it. And worried about dominating space you can’t spare? We have good news! Floating staircases were created out of a demand for utility! Use those pockets underneath to store anything you’d like underneath them. If you’re in the market for a customized winder staircase, you may be worried that the design will prove too difficult to ascend once finished. In fact, many people deem the style unsafe. But what if we were to tell you that the layout of a winder staircase is very similar to a traditional L-shaped staircase when it comes to overall safety? In fact, you can custom design the staircase with handrails and balusters to make sure of it. And it’s easy! Once you’ve considered the facts, the modern or contemporary staircase that you desire may become more apparent. Contact us at Acadia Stairs for more information to understand what might work best for you!